Avoid Broken Glass Heaters: If you have had aquariums for some time, you have probably experienced a broken glass heater. Dangerous in many ways to you and your fish. Caused by temperature swings, usually from water changes, when cold water meets the hot heater. A broken glass heater can crack and leave you picking up the pieces, before your fish try to eat them. Connections: The lifegard heater module comes with fittings for both PVC and hose connections. 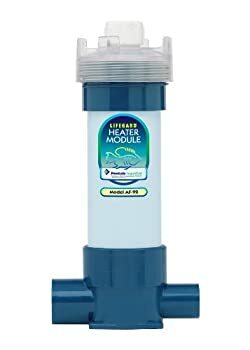 You can also connect other lifegard modules like the UV Sterilizer, Mechanical Filter and Chemical Filter. Keeping them all inline and out of sight.